I'm really looking forward to break this year because I'll have time to catch up on all the reading I've pushed aside for school. 1) Anyone can participate. I'm focusing on teachers and students, but if you want to cram a little extra reading in during the holiday season, please join us. 2) The Reading Challenge is designed to be self-paced. I will ask for you to set a goal for the number of books you want to read, but if you don't reach the goal - no big deal. This is for fun. 3) You don't have to provide a list of books you plan to read in advance. You can, but it isn't required. My mood determines what I read so I usually don't stick to a list. If I can't do it, I don't want to force others to do it. 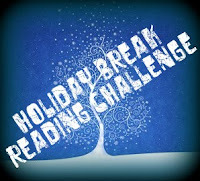 4) The Holiday Break Reading Challenge corresponds with my time off from school. So, it starts on Friday, December 18, 2009 and ends on Sunday, January 3rd, 2010 at Midnight. 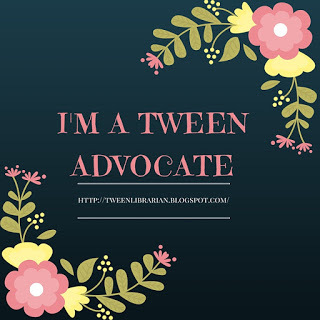 5) I'll have a section set up on the blog for reviews. Please link your reviews of the books you complete during the challenge. 6) Everyday there a new "Challenge" will be posted. These "Challenges" are designed to help you get to know other bloggers, talk about what you are reading, and share information about books. A new Mr. Linky (if I can figure it out) will be used in each post to record everyone's responses. 7) HERE IS THE BIG ONE! At least one prize will be given out everyday during the Reading Challenge. This might be a book, a bookmark, or other swag. No specifics lined up yet. 8) Be sure to follow the Reading Challenge on Twitter. New challenges and prize information will be announced there, too. 9. Grab the button to put on your blog. Spread the news and happy reading! Sounds like fun. Now I need to consider if I should join up . . . I don't want to put any pressure on my reading this break because I'm so behind. I'm in! I'm in! I've been looking forward to break just for this reason! To heck with buying presents....read on! Thanks for signing up. Keep spreading the word.